Your profile page is where people can find you and see the courses you've created and/or joined. They can also send you messages and comments from here. Click on your profile icon on the top right and then click on My Profile. Add some info about yourself! Click edit to complete the 'About Me' section and add a Video. When you hover over your profile picture, the words Change Picture will appear. Click here to change your profile image! 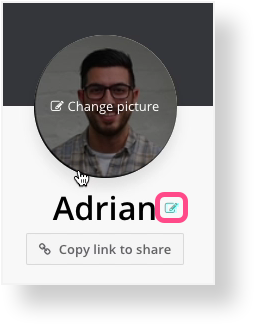 You can also click on the Edit Icon next to your Name to Edit your name. Customize the colour of your Header Background. Click here to change your theme colour! Now your profile page should be set up and ready to go! Norafiqah Najwa Hi Norafiqah! How big is your file? If it is a huge file and a slow connection, it might take a while to upload. Maybe you can try again? Debbie Lustig Hi Debbie, please contact the course facilitator. 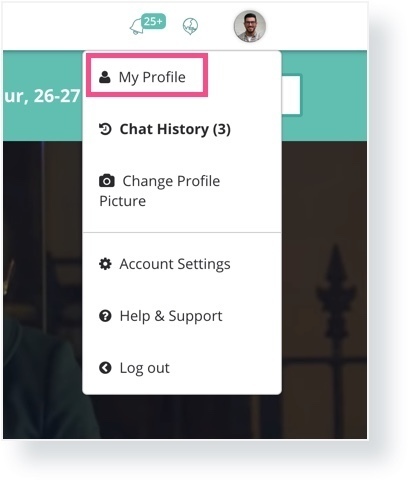 You can post a comment somewhere in the course, or send them a private message from their profile page.